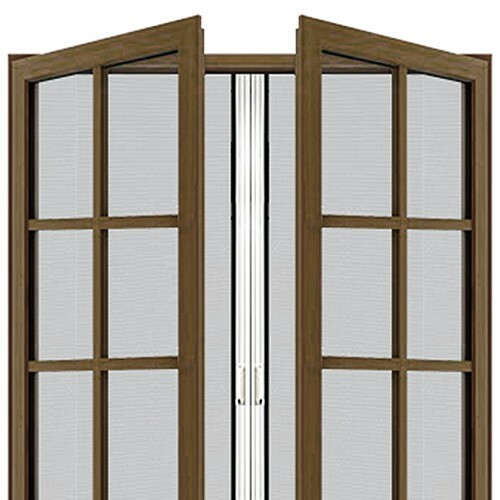 Fits double and French doors up to 108" wide and 100" high. The Legends Standard Height Double Door Retractable Screen System works well for French doors, pocket sliding doors and for even large single swing doors. (NOTE: The retractable screen must cover the entire opening for sliding doors including sliding glass doors with one fixed panel.) Legends retractable screens solve the challenge of providing insect protection, light and heat control, without compromising the architectural beauty of your property. 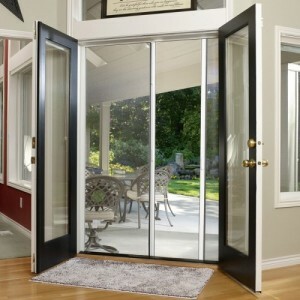 It's virtually invisible and is extended only when your doors are open to let in the cool breezes. When retracted, your Legends screen is almost invisible. The self-cleaning Legends retractable screen sweeps the fabric during every retraction, ensuring minimum maintenance and maximum view, using a standard insect screen with a weave of 18 x 16. This keeps most bugs out but still allows for ventilation, view and provides about a 30% sun block. Other screen fabrics are available. 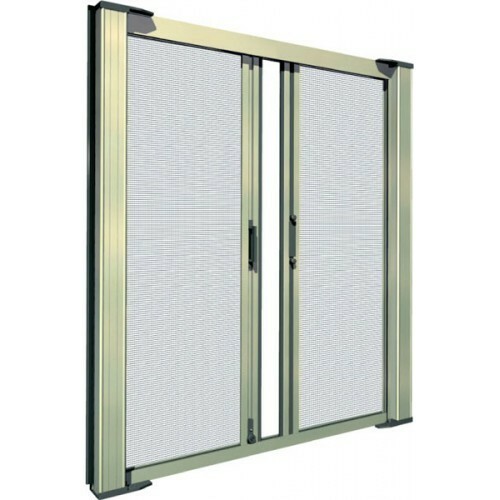 This custom-made Legends Retractable Screen will be fabricated to the dimensions you provide. The screen housing is assembled and the spring tension is preset. You simply install the screen, using hand tools. Every custom screen receives the individual attention of one our fabricators to ensure maximum quality and ease of installation.